Good morning! How about I add a little pizza to your Tuesday? 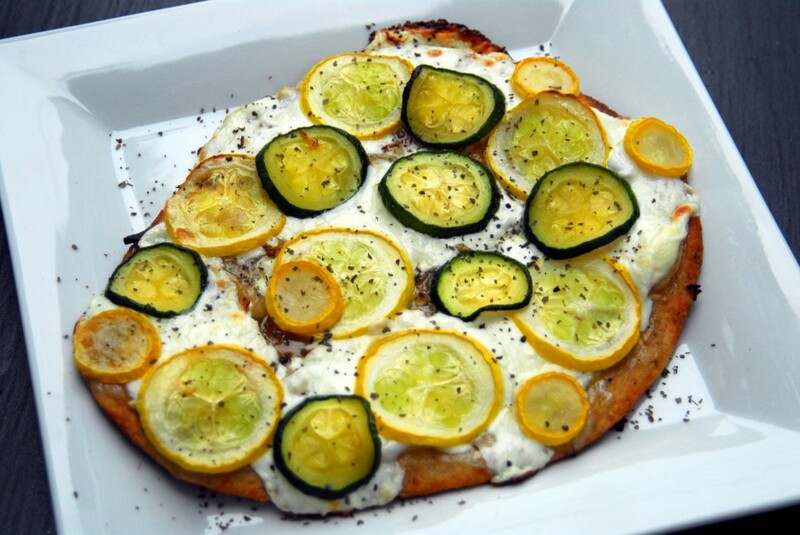 Summer Naan Pizzas with carmelized onions, mozzerella, zucchini, summer squash and a garlic yogurt cream sauce – delicious! If you’re a regular reader, you’ve probably noticed that I really like making pizzas. A lot. I usually try to make them healthier by hiding veggies in my sauce, using whole wheat dough, and making sure the pizza is topped with veggies too. And sometimes, I just like my plain old margherita pizza! Occasionally, I like to mix things up a bit and make personal sized naan pizzas. Naan is delicious and the perfect size for a pizza for one! These naan pizzas would work great as a regular pizza too, but sometimes it’s fun to change things up. If you are a grill master, I bet they would be even tastier made on the grill! 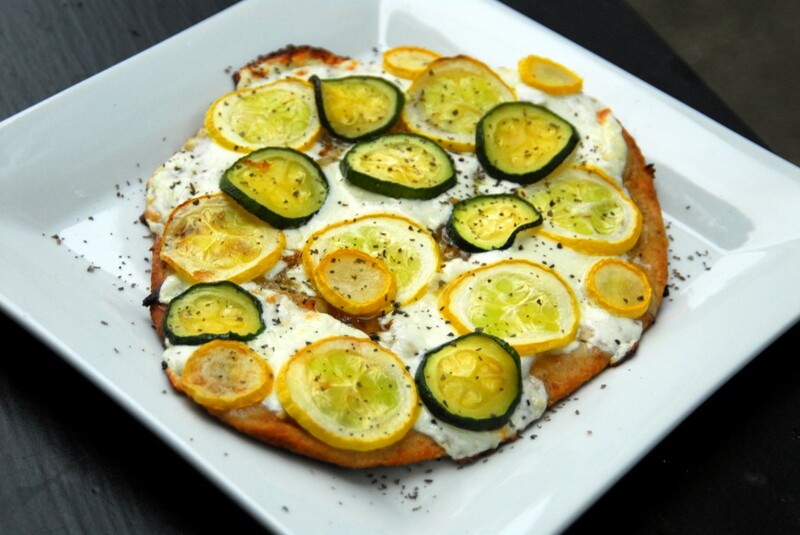 When I set out to make these naan pizzas, I knew I wanted to incorporate summer veggies, so I went with my latest obssessions: zucchini and summer squash. The first time I made them, I did a simple olive oil and garlic base instead of sauce. As I was devouring that pizza, it occurred to me that the pizza would greatly benefit from a cream sauce – much like the ones you often find on some white pizzas. My new mantra: when in doubt, use greek yogurt! The next time I made these pizzas I made a simple cream sauce with greek yogurt, olive oil and garlic. It was the perfect addition to the pizza! I’m going to try this sauce out when I make a white pizza again too! Sidenote. Speaking of greek yogurt, did anyone else read this article about how food companies are manipulating regular yogurt by adding things like cornstarch to mimic the attributes of greek yogurt, and then selling it on the shelves as greek yogurt? I know I’m going to look at my labels on greek yogurt from now on! And to all my Chobaniacs, don’t worry – Chobani’s greek yogurt is made the old fashioned way and just how it should be! Back to the naan pizzas! As usual, one of the best parts about pizzas is that they are easy to whip up. And with the use of naan, you don’t even have to worry about the dough. Just roast your veggies and carmelize your onions and you’re ready to go! First, preheat your oven to 425 and slice your veggies and cheese. 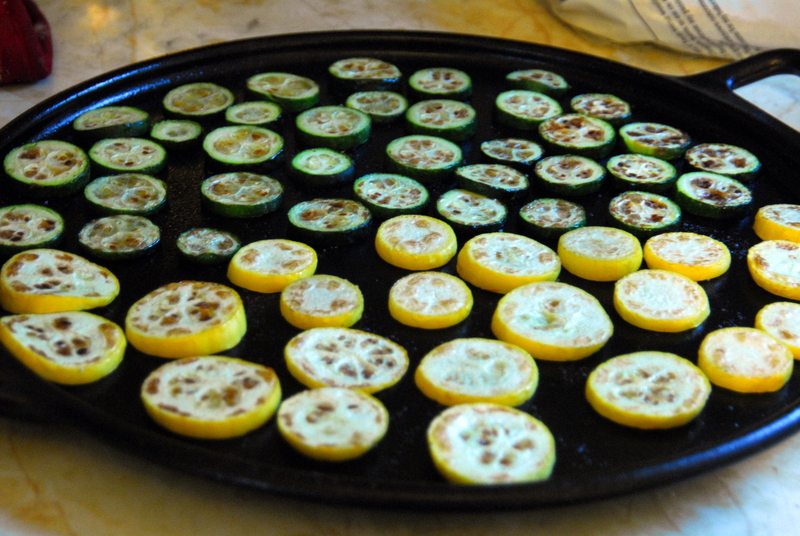 Transfer the zucchini and summer squash to an oiled baking sheet and season with salt and pepper. Roast for about 15 minutes, flipping halfway through. In the meantime, heat one teaspoon of olive oil over medium high heat and add the onions and sugar. Cook for about 5 minutes, stirring often. 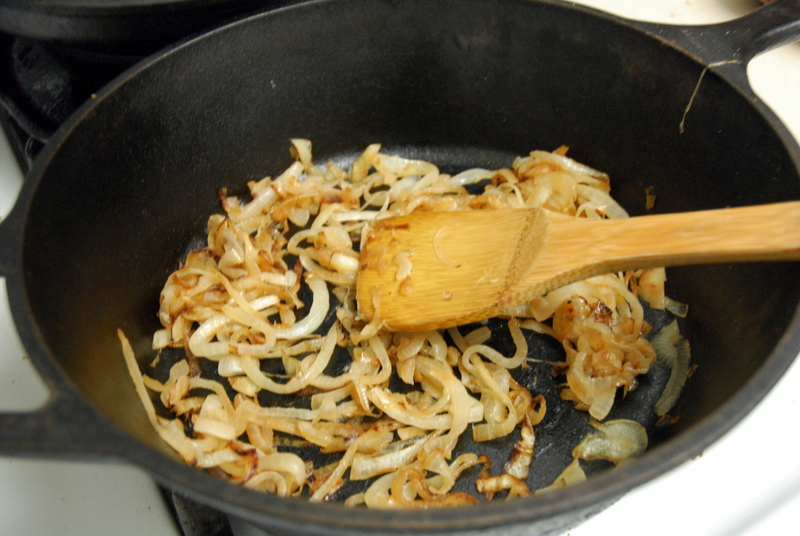 Then reduce the heat to medium low and cook for another 15-20 minutes, stirring often, until the onions are carmelized. I forgot to take a picture of this step, but also stir together the yogurt, olive oil, and minced garlic in a small bowl for the sauce. When the veggies are done roasting and carmelizing, prepare the pizzas! First add an equal amount of the yogurt sauce to each naan. Then add an equal amount of carmlized onions, followed by mozzerella. 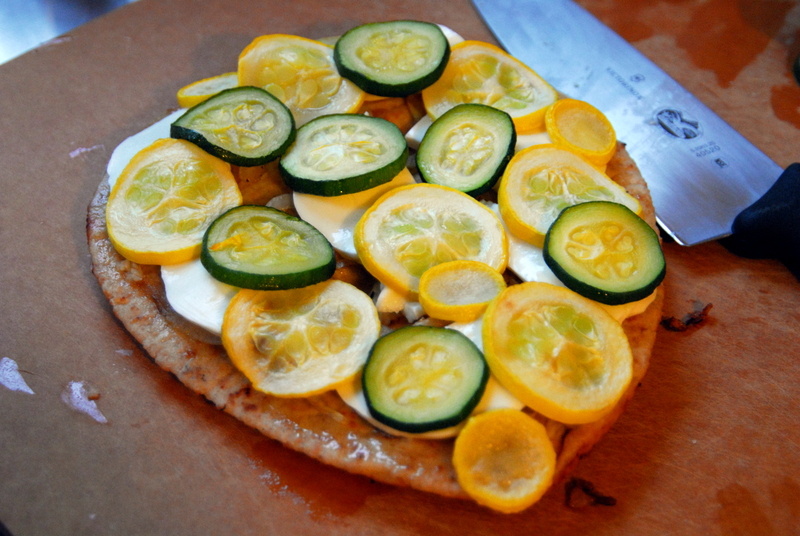 Finally, add the roasted summer squash and zucchini to the top of each naan. Sprinkle them with a little basil and pop them in the oven for 10-15 minutes, until the cheese is melted and begins to bubble. 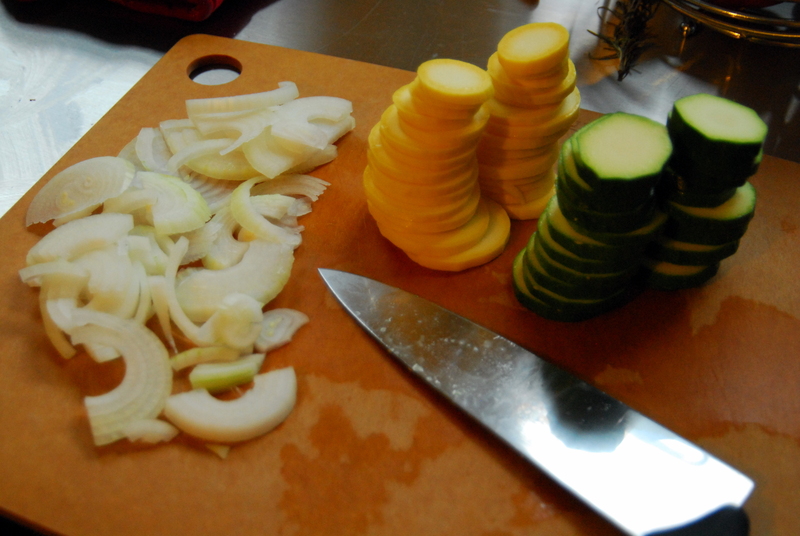 Preheat your oven to 425 and slice your zucchini and summer squash into 1/4 inch thick slices. Slice your onion into rings of equal size. Also slice your mozzerella into 1/4 inch thick slices and set aside. Place the zucchini and summer squash on an oiled baking sheet and season with salt and pepper. Roast for about 15 minutes, flipping halfway through. In the meantime, heat 1 tsp of olive oil to medium high heat and add your onions and one teaspoon of sugar. Stir the onions until they are well coated. Cook for about 5 minutes, stirring often. Then reduce the heat to medium low and cook for another 15-20 minutes, stirring often, until the onions are carmelized. While the veggies are cooking, stir together the yogurt, olive oil and garlic in a small bowl. You can also cook the garlic for a couple minutes if you’d prefer not using raw garlic in the sauce. When the veggies are done roasting and carmelizing, begin assembling your pizzas. First add an equal amount of the yogurt sauce to each naan. Then add an equal amount of carmlized onions, followed by mozzerella. Finally, add the roasted summer squash and zucchini to the top of each naan. Sprinkle them with a little basil and pop them in the oven. Bake for 10-15 minutes, until the cheese is melted and begins to bubble. Let cool for a couple minutes and enjoy! 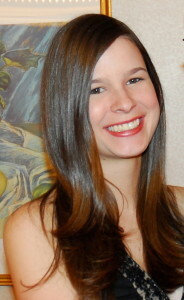 This entry was posted in Food for Thought, Pizza, Recipes, Vegetarian and tagged naan, pizza, squash, vegetarian, zucchini. Bookmark the permalink. oh my goodness making that asap. Love your new mantra! Come to think of it, I’m always thinking of ways to to incorporate greek yogurt into my dishes :). Caramelized onions and naan bread? Yes please!! It really is one of the most versatile ingredients to cook with! I want you to live in my kitchen! Your food always looks amazing! we love naan pizza’s over at my house! Best way to my boyfriends house it through pizza! he does his up manly with lots of pepperoni and I like to stick to a margarita pizza! Yours sounds so good I think I will have to try it next time we do pizza night! You can add a little pizza to my life any day you please! 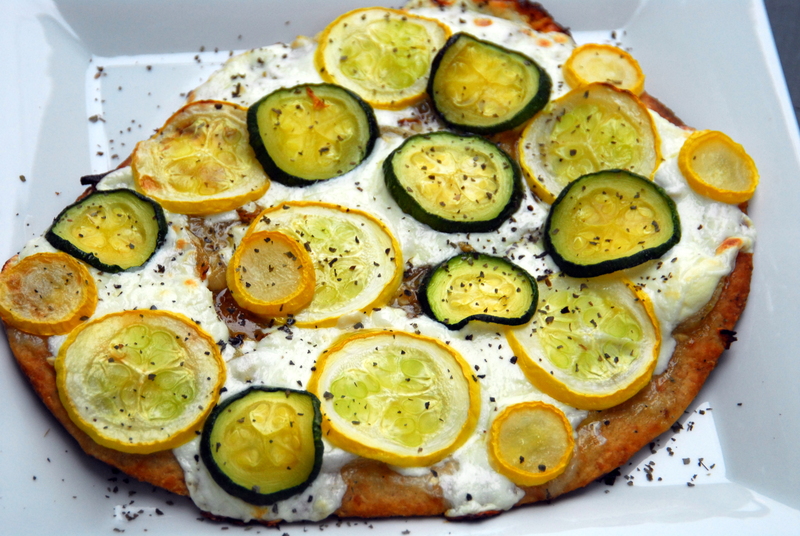 Especially if it’s covered with fresh squash and zucchini – those are two of the best pizza toppings ever! Especially with caramelized onions. That article is crazy – although to be honest, I’m not surprised that the food industry is being that sneaky. Cheap additive to make something resemble real food and boost our profits? SCORE! I love the idea of using naan to make pizzas! Such a great idea! I am especially loving the toppings! Delicious! I love this recipe…we should make pizzas at home more often! It’s definitely worth it to make homemade naan every once and a while! Hey Caroline! This looks delicious 🙂 We’d love to send you samples of our naan bread to try – let us know if you are interested! Thanks! I’d love to sample your naan! Should I email you my contact information? My email is afterdinnerdance@gmail.com if you want to get in touch.